While Living Proof Live has been to Virginia a handful of times before, we are so excited to serve for the first time this weekend in Roanoke, VA! Come join us this coming Friday night and Saturday for Living Proof Live! We’re expecting the Berglund Center to be fully prepared with the presence and power of God, and am thrilled about the area of Scripture God has set aside for us for this event. We’ve also got some pretty fun additions to the weekend but you’ll have to come to find out what they are. We would so love to have you join us! If you’ve never been to an LPL before, or you can’t quite swing the cost of a ticket, give Kimberly Meyer a call at toll-free: 1-888-700-1999. Or for tickets, visit registration on the LifeWay website – and we will see you there! It is our great honor to serve you. We don’t take a single one of you for granted. This entry was posted on Tuesday, April 9th, 2019 at 11:38 am	and is filed under Uncategorized. You can follow any responses to this entry through the RSS 2.0 feed. You can skip to the end and leave a response. Pinging is currently not allowed. Lifting the event in prayer and if it is even 1/2 of what we experienced in Memphis it will be a powerful, amazing worship service. Are you gifting this ticket or selling? I am so very excited about tomorrow night. Have been praying we all are given a nugget, a treasure, God has just for each of us. I signed up after my friend Sandie lost her 52 year old husband Randy to pancreatic cancer. We’re looking forward to getting lost in Jesus this weekend! This weekend was awesome! The Spirit filled the entire place with His Presence! I have one gentle suggestion. When it’s time to end, it would be good to have a time of transition. I found it difficult to go from being in The Presence of The Spirit in such a way that I was actually being held in His Arms – to suddenly walking to my car. Is there a way to come down from the mountain sweetly…doing a pirouette out the door, instead of just stopping all of a sudden with such silence after the praise? Just a thought. Thank you, O God, for Your Arms of love! Hallelujah, what a Savior! Initial Circumstance: Christmas (PROBABLY) 2000; Youngest daughter in 7th Grade; Just moved from the only home she really ever remembered to a Christian School in another state about 4 times the size of where we came from. I had started with some type of study group using your material in 1999. This move in 2000 was REALLY hard on ALL of the four of us (husband, myself, 2 daughters). We cried a lot and it was a VERY difficult year for many reasons. My daughter gave me “From The Heart of Lesser Woman~~Things Pondered” with a very special HOMEMADE CHRISTMAS CARD IN 2000 (wish I could include pics). I never read this book, but recently found it on my “Need to Read” bookshelf with her card enclosed. When she GAVE it to me, I was just really starting to sit under your teaching and it was so very healing for me. I was working too much, exercising too much, just doing too much of EVERYTHING when we all needed each other THE MOST. However, I had nothing to offer anyone emotionally unless I was studying God’s Word, INTENTLY. I hadn’t really developed an INTEREST in BETH, personally, other than what she was sharing in her teaching. So, I am 61 this year; I just finished this book; it is AMAZING! I have now been to conferences; done ALMOST every study, if not all; facilitated SEVERAL studies; read EVERY book Beth has written; praised God for her ministry in MY life; defended her (Christians can be so very mean to their own); defended myself for doing so much study; and have treasured how God shared her gifts with ME on the journey. I ABSOLUTELY believe that God gifts different ministry leaders with the ability to minister to such a WIDE variety of Christians. Beth…she helped me fall in love with God’s Word AND the God who authored it. It has been my only hope and only BALM in some VERY difficult times in my life. It is still the MOST important DAILY need in my life. Thank you for sharing YOUR life, struggles, walk, and love affair with our Saviour. What you have shared here is beautiful and an inspiration to women everywhere I am sure. 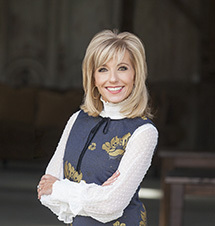 I myself have been ministered to greatly by Beth Moore and her ministry. I do have to ask myself, and most importantly God, why? Every time I am under another person’s teaching (Beth’s is one of several for me, although I am particular and strive to be God led in whose I subject myself to) With Living Proof’s ministry, the answer to this three word question has been the same and that is the one and only reason I continue to pursue the teaching of Beth’s. It isn’t Beth. Plain and simple. And I don’t think she wants it to be. Fact I know she doesn’t. It’s about Jesus. I hear Him speaking through every book, study or teaching of hers. And any teacher I listen to that I hear anything but that I must flee. Beth makes me hungry. Hungry, starving for the things of God. So if I may lovingly encourage you. Make sure that the reason you are being so clearly spoken to through Beth’s teaching, is that it’s Jesus speaking through Beth and not Beth. And I think I can speak for her when I say that is her desire. I pray that minister’s to you and doesn’t hurt you. I just know our enemy is subtle enough to want us to get our eyes even on a godly woman’s ministry more so than God and if he can, he will. We must always be testing, praying and asking God and ourselves, the three little word, “why”. You are greatly appreciated! Thank you. Its my time! I know there were 4000 some women at LML Roanoke but it seemed that “My feet slipped” was for me alone. I know better, I know that God used Beth’s message to minister to a great many that weekend. The day before the event I had an incident at work and like Psalm 73 21-22 CJB “When I had a sour attitude and felt stung by pained emotions, I was too stupid to understand; I was like a brute beast with you. :” How utterly like God to have this event right when I fell apart and needed it most. Last weekend I was in the sanctuary of God and understanding came PSA 73 16-17. In the week that followed God showed me the work he had been doing in my life and in my job the past 2 years and it is now time to move me out of what has become a bad situation into a perfect one. In addition to the Word, the worship was beautiful too. I have been heart sick to truly worship and this past weekend was a healing to my soul as I entered into sweet worship. I loved being a part of the 4000 strong choir. A foretaste of heaven.